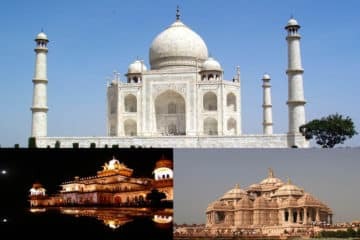 This 6 days golden triangle tour package will take you through the Delhi, Agra and Jaipur City tour. 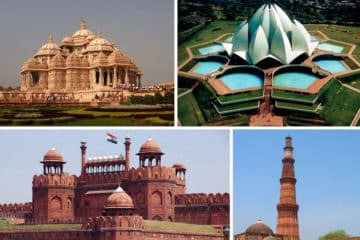 This 5 nights 6 days golden triangle trip is best for those who wanted to explore the rich inheritance of 3 Indian cities with leisure; this is one of the Indias most popular tourist circuits also known as Golden Triangle India, by booking this India’s golden triangle 6 days tour you get a golden chance to spend 1 night in Delhi, 2 nights in Agra and 2 nights in Jaipur. Perfect 1-week plan for vacations in India. Duration of Golden Triangle Trip – 5 Nights and 6 Days. Enjoy your Delhi, Agra, and Jaipur 6 Days Trip. New Delhi Sightseeing – Qutub Minar, Humayun Tomb and India Gate, Lotus Temple, Presidents House. Also, Visit Fatehpur Sikri on the way to Jaipur. Let an experienced guide explain the glorious history of these cities. AC Transportation on your whole tour. Covered Destination: Delhi, Agra and Jaipur. Pickup and drop back to New Delhi Airport/Hotel. 5 Nights accommodation, Single/Dbl Occupancy Bed With Breakfast. 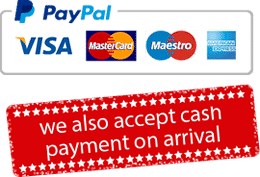 All Monuments Entrance / Tickets fees. Tour guide service (Delhi, Agra, and Jaipur). Express highway toll and monument parking charges. Tip & Gratitudes to driver and guide. Note: Please mention what type of hotel you preferred (5 Star / 3 Star / Budget), before booking the tour. If you want to book accommodation on your own then please select “own accommodation” while booking the tour. Arrival and Exploring Delhi, later drive to Agra city. Arrive at Delhi city, and our representative will meet you at the airport/railway station or pick you up from your hotel in Delhi / Noida / Gurgaon, on arrival you will meet your guide, check-in to the hotel and later proceed for Delhi city sightseeing. First, we will start from Old Delhi (Jama Masjid, Red Fort, Chandni Chowk and Raj Ghat), Humayun Tomb, Qutub Minar and Lotus Temple. Also drive past Rashtrapati Bhavan, India Gate and parts of Delhi central. Later after completing the Delhi city tour, you will move to back to Hotel for an overnight stay. Attractions: Mehtab Bagh and Itimad Ud Daulah. After breakfast check-out from the hotel and leave for Agra. Enjoy a comfortable ride to Agra in your private luxury AC car. Later on arrival in Agra check-in to the hotel. Later after lunch, leave for Agra sightseeing tour. Visit Mehtab Bagh (sunset point) and Itimad-ud-Daulah (Baby Taj). Come back to the hotel and overnight stay at the hotel. Attractions: Taj Mahal (sunrise view), Agra Fort and Sikandra. Early morning around 06:00 am, our driver will come to pick you up from the hotel. You will explore the most sublime view of Taj Mahal, which is known Sunrise view of Taj Mahal. Later come back to the hotel, after some rest and having some breakfast continue Agra Sightseeing tour. Visit Agra Fort and Sikandra (Akbar’s Tomb). Later come back to the hotel and overnight stay at the hotel. Attractions: Fatehpur Sikri (on the way). After breakfast check-out from the hotel. Then drive towards pink city Jaipur. While moving towards Jaipur on the way visit Fatehpur Sikri also known as “Ghost City” or “Deserted City”. It was built by Mughal Emperor Akbar. Later Arrive Jaipur and check-in to the hotel, overnight stay. Attractions: Amber Fort, City Palace & Museum, Hawa Mahal (Palace of Winds and Jal Mahal (Water Palace). 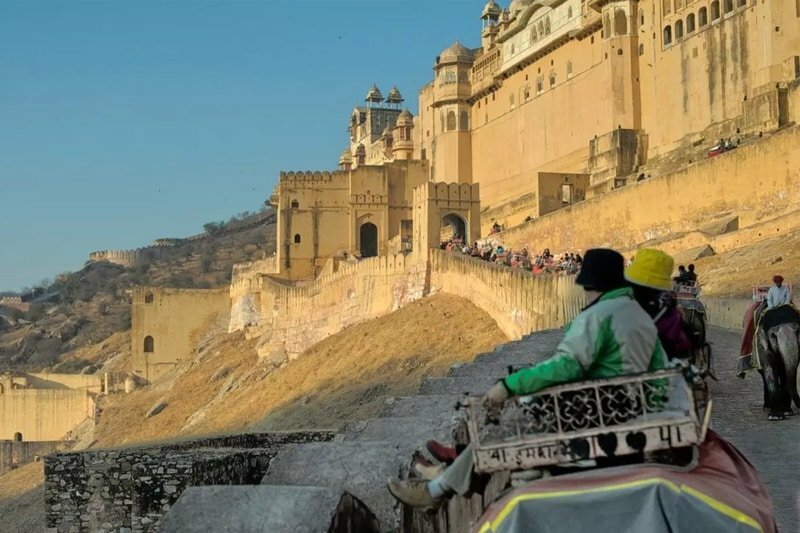 After having breakfast, you will leave the hotel and start the full day sightseeing tour of Jaipur at 08:00 a.m. with your guide. Explore Stunning Amber Fort with fascinating elephant ride, Hawa Mahal, drive past Jal Mahal. Later enjoy Delicious lunch, Later Visit Jantar Mantar, City Palace. Enjoy Shopping In Local Market. Overnight stay at the hotel. After having breakfast, drive back to Delhi city, then transfer To Delhi airport with sweet memories of Delhi, Agra and Jaipur Tour of 6 Days.